White Dove Release – Weddings, funeral services, special events & more! Offering the most affordable dove releases and displays to LA, Orange and surrounding counties since 1989. There are some things in nature that are absolutely awe inspiring. Seeing a dolphin jump 18 feet in the air at Sea World or a bald eagle soar through a NFL stadium are unforgettable. We believe a similar feeling comes when seeing a flock of our doves released and soar overhead at special events. Few animals carry deeper symbolism than a white dove and a flock is breath taking! No matter what the event, guest always find it remarkable. Most are full of questions about their ability to find their way home. We have some beautiful explanations about the symbolism involved in weddings, memorials, and most any special event. 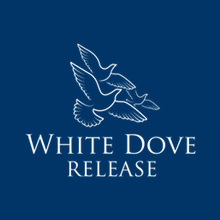 White Dove Release offers dove service to clients in the Los Angeles County and Orange County areas, as well as parts of Riverside and San Bernardino Counties. White Dove Release has several release packages available for weddings, funerals, and other events, as well as smaller white doves for display in cages to just sit perched and look beautiful. 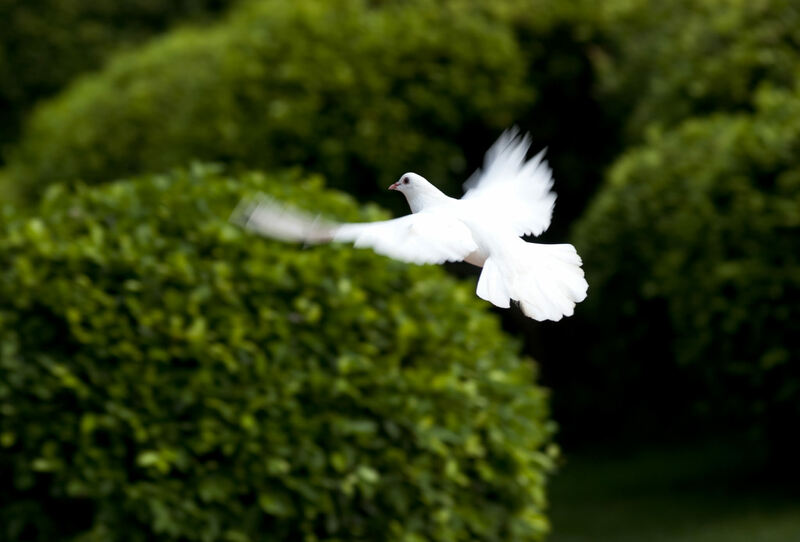 White Dove Release has been serving customers in Southern California since 1989, when Pastor Luthor Nelson and his wife, Susie began releasing their white homing doves at weddings, funeral services, and other special events within their congregation. The pigeons have the appearance of doves. One of their most breathtaking releases has occured at Dodger Stadium on opening day! The doves have also appeared on Good Morning America, My Fair Wedding, Battle of the Wedding Designers, and Semi-Homemade Wedding and dozens of advertisements and music videos. The beauty and awe of a dove release is easily attainable with White Dove Release. Contact them today about purchasing a dove release package for a wedding, funeral, or other occasion. White Dove Release is happy to answer any questions from customers about their services. What a beautiful and tangible way to pay tribute to the virtues of peace, faithfulness, and purity!